The amalgamated thing moved as one. The hundreds of people half-melded into limbs of a broken god screamed as individuals. 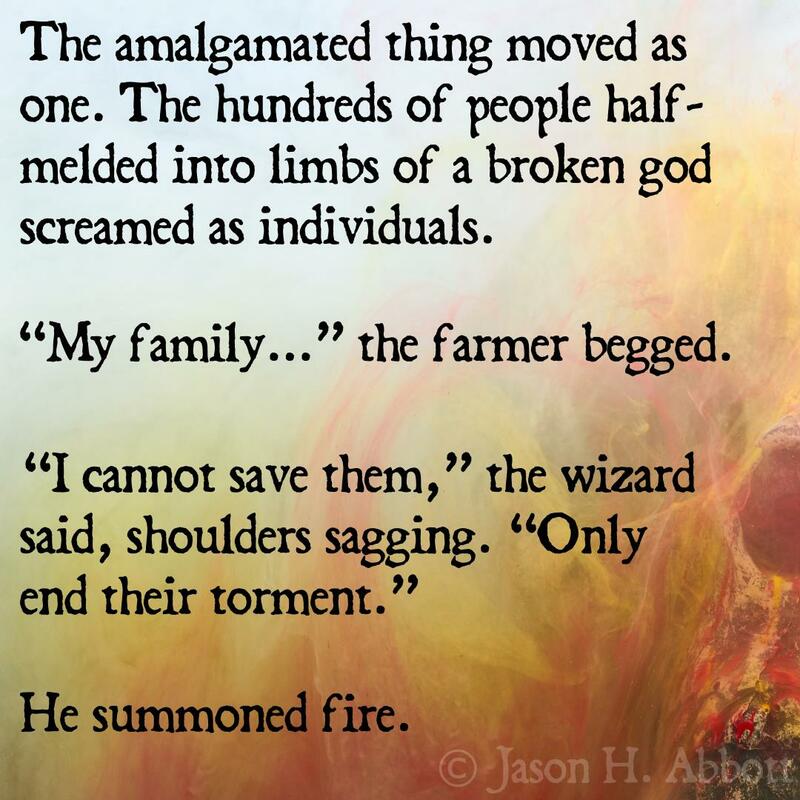 “My family…” the farmer begged. Copyright © 2019 by Jason H. Abbott, All Rights Reserved.